Date:1st April 2013. 'Leeds United v Derby County. Pictured Leeds United's Chris Dawson, making his debut for the club. David Hockaday believes midfielder Chris Dawson will begin fulfilling his potential with Leeds United this season, claiming the youngster has been “lost in the system” at Elland Road. Dawson, 19, is a Wales Under-21 international who was once considered to be the most talented prospect among the youth-team squad at Leeds. 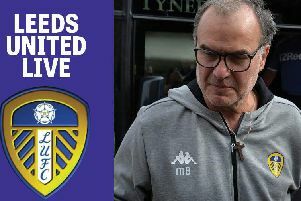 He made his debut in a 2-1 loss to Derby County in April 2013, the last game of Neil Warnock’s reign as manager, but had his progress halted by shoulder surgery a few weeks later. The attacking midfielder was not involved with the first-team squad at any stage of last season and watched as midfielder Alex Mowatt and striker Lewis Walters advanced in front of him. But Dawson, who scored a hat-trick in a 3-0 friendly win at Glenavon on Wednesday night, is one of the young prospects who Hockaday intends to use this season, and United boss said: “He’s good enough. “I knew of him two years ago but when I came here I was wondering if he was still about. He is and I’m delighted about that. “He’s got lost in the system a bit, like a lot of young players do, but he’s going to be given an opportunity like all of the young players to stake his claim for a shirt. Mowatt also played in the match at Glenavon, completing 90 minutes on his first senior appearance of the summer. The talented 19-year-old injured a knee on the penultimate weekend of last season but is close to full fitness after undergoing treatment throughout the close season. Both he and Dawson will face a fight for position in United’s midfield this term with numerous options likely to be available to Hockaday. Leeds signed Tommaso Bianchi from Sassuolo last month and have been working on deals for Roma playmaker Federico Viviani and AC Milan’s 18-year-old Slovenian Zan Benedicic, an attacking midfielder. The club already had Luke Murphy, Rodolph Austin and Michael Tonge on their books, all of whom have been in the thick of Hockaday’s pre-season schedule, and 17-year-old Lewis Cook is the latest player to emerge from the academy at Thorp Arch. Hockaday has used a diamond midfield in most of Leeds’ friendlies and he said: “If we want play a diamond then we need four midfielders in the team and a few options on the bench so a lot of lads will have a chance. Hockaday, meanwhile, conceded that the addition of centre-backs to his pool of players was a priority after the departure of Tom Lees to Sheffield Wednesday. Lees’ move to Hillsborough on Thursday left United with only two experienced central defenders – Jason Pearce and Scott Wootton – and the club appear to have given up on a bid for Liam Cooper after Chesterfield rejected a £475,000 offer for the 22-year-old. “We’ve got two centre-backs, two senior centre-backs, so that’s obviously somewhere we need to strengthen,” Hockaday said. “We’ve got options and we’re exploring them,” added the United coach.